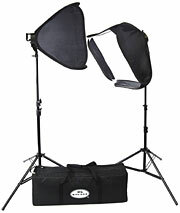 The Savage LED Portrait Kit is an ideal lighting solution for both studio work and location photography. 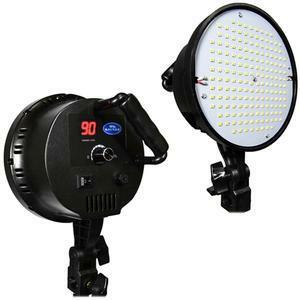 Each of the two high-powered lights is comprised of 176 chip-on-board LEDs, which together produce the equivalent of 600W incandescent light while only utilizing 70W of electricity. 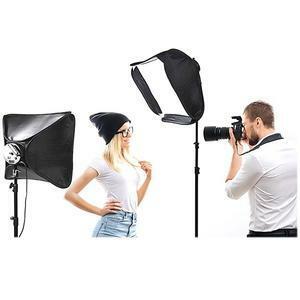 The LED Portrait Kit provides a 5600K daylight balanced light source, and features a stepless dimmer for maximum light control. 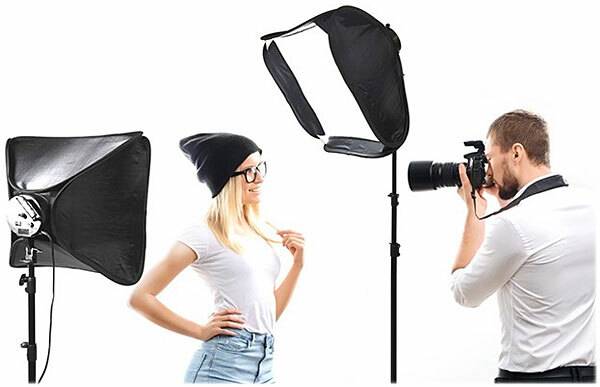 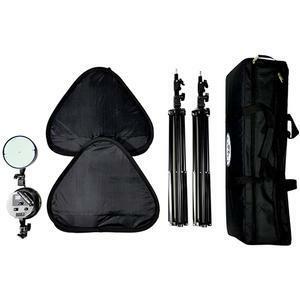 Two included 20-inch softboxes pop open for quick and easy setup to create soft, even lighting for high-quality portraiture. 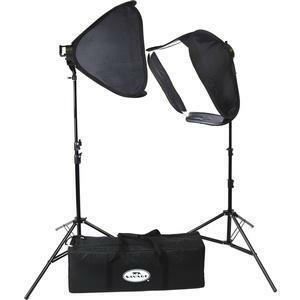 A padded carry bag allows for convenient transportation, and also offers extra storage space, allowing photographers to pack extra accessories into one bag.